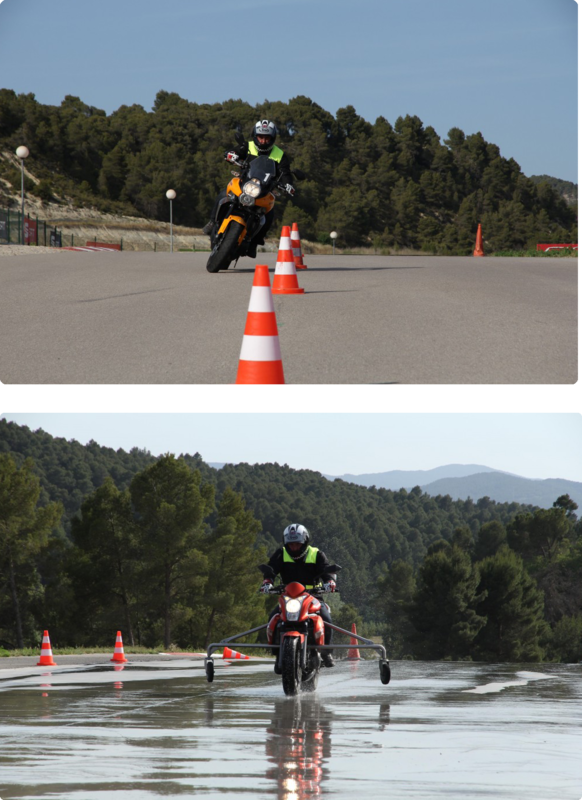 Riding courses to improve reaction and vehicle control in situations of risk and to learn preventive riding. – Cornering and counter steering techniques. – Simple avoidance and roundabouts. – Fundamentals of driving line and order. The course is carried out with the pupil’s own motorcycle (valid MOT certificate and equipment indispensable) Except for braking practice using KAWASAKI ER-6N with side wheels provided by the school (with and without ABS).